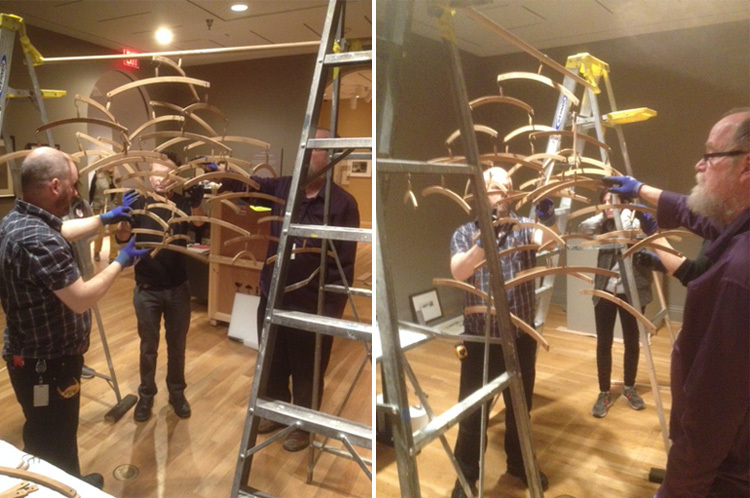 Installing Man Ray’s Obstruction, a carefully balanced mobile comprising over 60 wooden coat hangers, was no small feat for Phillips preparators. Check out these before and after shots. Installation view: Man Ray, Obstruction, 1920/editioned replica 1964. 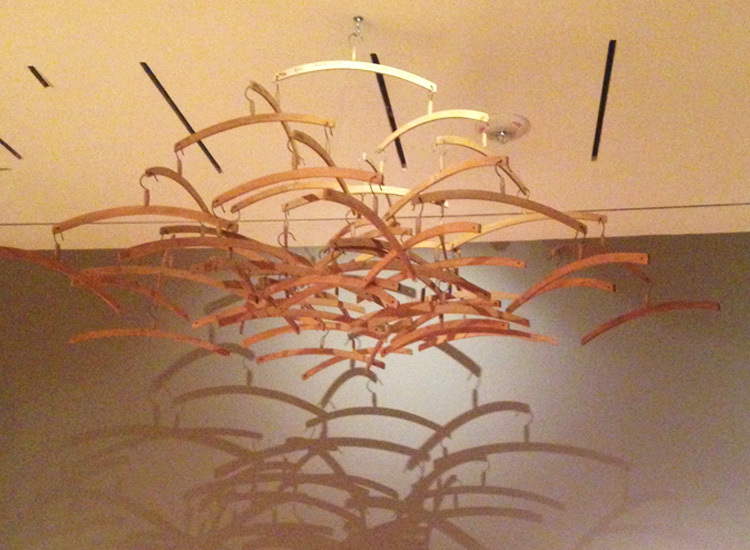 Assisted readymade: 63 wooden coat hangers, 43 5/16 x 47 1/4 x 47 1/4 in. The Israel Museum, Jerusalem. Gift of Beatrice (Buddy) Mayer, Chicago, to American Friends of the Israel Museum, B84.0027. © Man Ray Trust / Artists Rights Society (ARS), NY / ADAGP, Paris 2015. Photo © The Israel Museum, Jerusalem by Avshalom Avital.